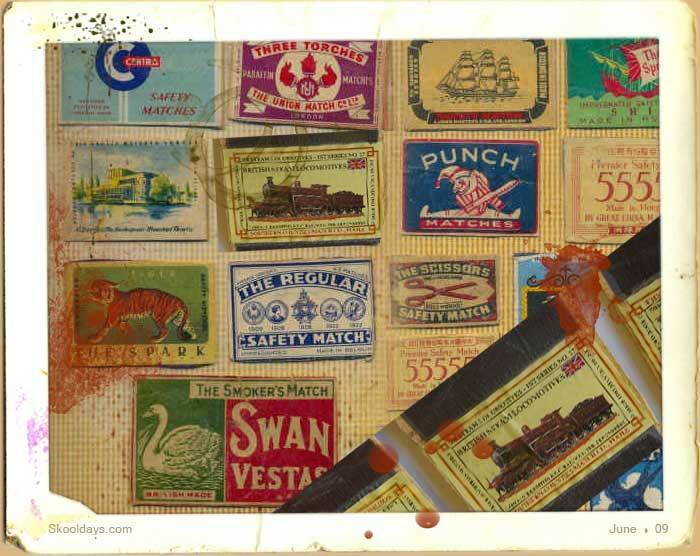 Collecting match box labels was another hobby in the seventies. I Don’t know why, but I had a phase as a kid of a bizarre need to collect match boxes. Most kids would be keener on what you could do with the matches – not me. It seems that the fact that there were so many designs and companies to choose from, then match boxes were extremely collectable. Many of the labels started to encourage their collectableness by providing images in a series. One set i collected as a boy was of trains. While writng this i’m still looking for this set that’s lodged in my memory. Swan vestas were quite different to all other boxes. Different size, different in colour and pink headed long white sticks. But they stood out as very different and therefore no collection would be complete without it. This entry was posted in LunchBox, Pop Culture and tagged 1900, 1910, 1920, 1930, 1940, 1950, 1960, 1970, 1980, 1990 by Skooldays. Bookmark the permalink.